Radial Head Fractures Handout | Dr. Thomas Trumble, M.D. 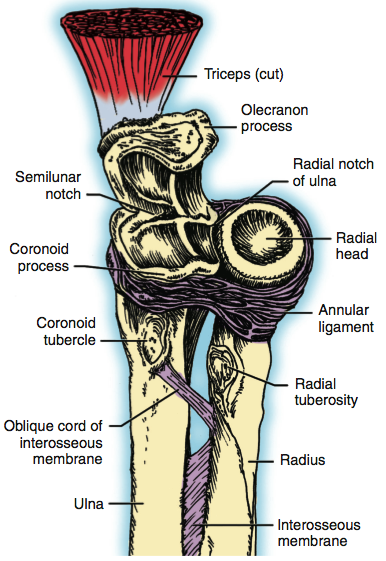 The radial head is a very special part of the elbow joint. It provides stability and allows the elbow to rotate, so the hand can be rotated from a palm-up to a palm-down position (Figure 1). Radial head fractures typically occur from a fall on outstretched arm. Some of the symptoms include minor elbow swelling and stiffness. 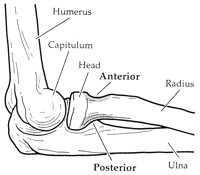 There is tenderness over the lateral aspect of the elbow. Who has Radial Head Fractures? These can occur in any age group. They are quite common in young patients, particularly athletes. How do we diagnose Radial Head Fractures? X-rays are a key feature for diagnosing radial head and neck fractures. Sometimes in minimally displaced fractures, all that is evident is soft tissue swelling on the x-ray. Clinically, the patients demonstrate a loss of motion and strength with tenderness at the lateral aspect of the elbow. X-rays can demonstrate the fractures at the neck or extensively to joint (head fracture). How do we treat Radial Head and Neck Fractures? In these cases, it is important to remove the blood from the elbow joint that is blocking motion, as this will cause severe stiffness. In the office, with local anesthetic and x-ray guidance, it is possible to remove the blood referred towards the hematoma. This often provides an immediate improvement in motion and relief of pain. Early therapy is recommended to regain motion. Patients are cautioned not to do any lifting heavier than 5 pounds, until the fracture has substantially healed in six weeks. The goal of treatment is to try to restore the patients’ ulnar radial head. This will preserve elbow motion and prevent arthritis. Open reduction and internal fixation, as outpatient surgery is essential in order to restore the alignment and stabilization. Small, headless screws can stay as a permanent implant. This is important in order to salvage the radial head to maintain the normal anatomy. After surgery, early therapy is recommended to begin range of motion exercises. Lifting or loading with the elbow using weights more than 1 to 2 pounds is prohibited for the first six weeks in order to allow for the fracture to heal before pressure is applied. Therapy is essential in order to regain motion strength. In general, patients regain excellent, functional recovery. When the fracture has involved multiple fragments that cannot be restored with internal fixation devices such as screws, it is necessary to perform a replacement of the radial head. 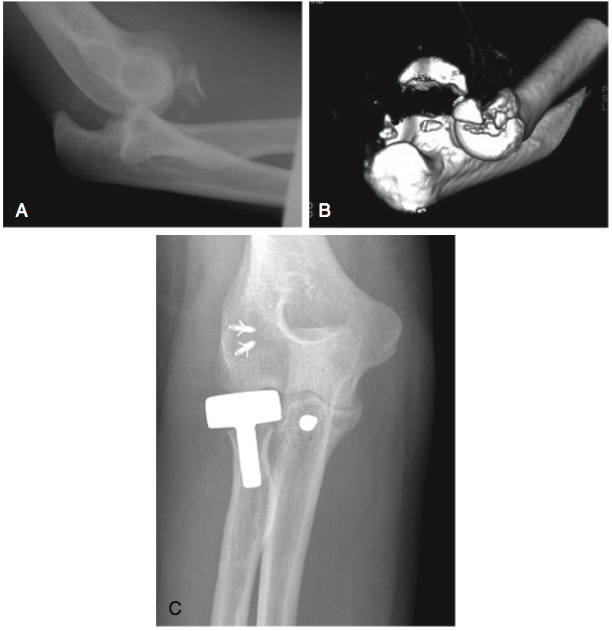 This is particularly a case when there has been severe fracture and dislocation of the entire elbow (3A, B, C). These devices replace the functional radial head and preserve the length in a functional rotation. In general, the patients regain excellent functional recovery following radial head arthroplasty. Therapy is recommended and loading of pressure on the elbow is restricted for the first six weeks to allow for solid ligament healing following the reconstruction of the radial head replacement. For these patients, we do caution against heavy repetitive loading such as weightlifting, pushups, or impact activities with the elbow that can occur with certain sports.